The Ultimate Personal Shopping Experience. In need of new key items to upgrade your wardrobe or ready for early Christmas shopping? Car service TCA partnered up with Amsterdam’s household name when it comes to luxury shopping: De Bijenkorf. 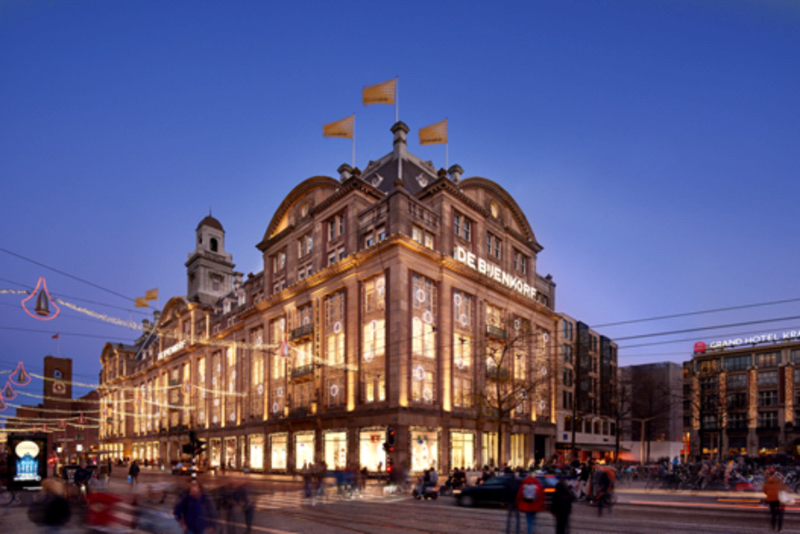 This beautiful department store is located in a grand historic building on Dam Square. Offering five floors of luxury brands, fashion, jewelry, interior design and beauty products, you’ll be sure to find something you love here. With shop-in-shops from exclusive brands like Dior, Louis Vuitton and Gucci you could call it the designer paradise of Amsterdam. A private chauffeur will pick you up on any desired location to take you to your Personal Shopping appointment at de Bijenkorf. Head to the 2nd Floor where the Personal Shopping Lounge is located and prepare for a two-hour tailored shopping experience. If you wish to explore more of the cities highlights after your shopping spree, TCA will be more than happy to guide you around. How about an exquisite High-Tea at the Duchess or drinks with a view at the Twenty-Third bar? Whatever it is you feel like doing within Amsterdam, TCA will take you there. Visit the website tcataxi.nl for more information and download the app. Tuesday - Saturday 10:00 a.m. – 9:00 p.m. Sunday - Monday 11:00 a.m. – 9:00 p.m.